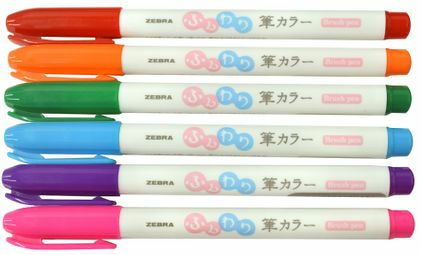 Zebra's Funwari pens are great tools for hand lettering as well as illustrations. 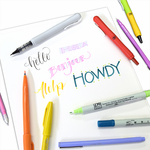 The super fine point brush tip gives the perfect amount of flexibility and control, so they work well for beginners too! Water-based dye ink blends easily with water for neat watercolor effects.